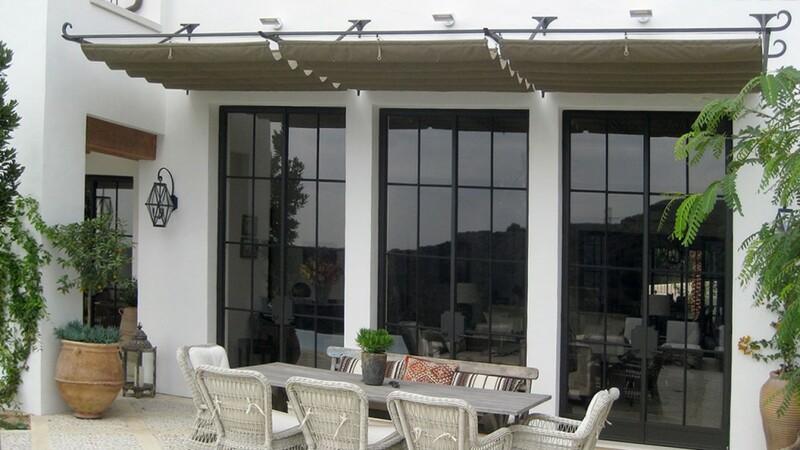 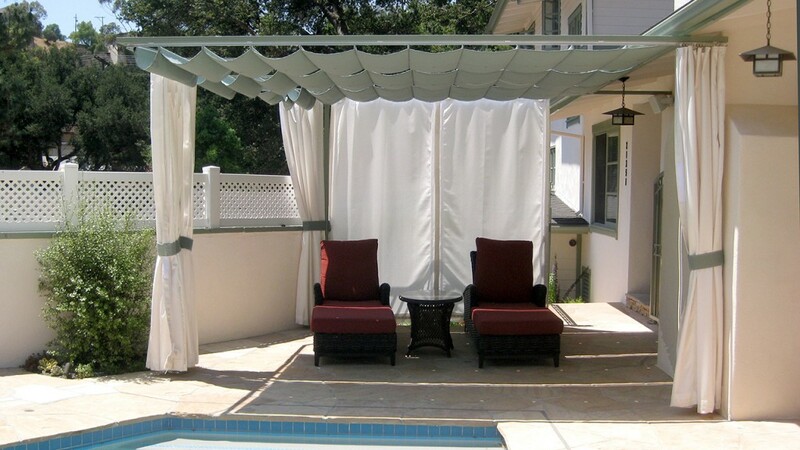 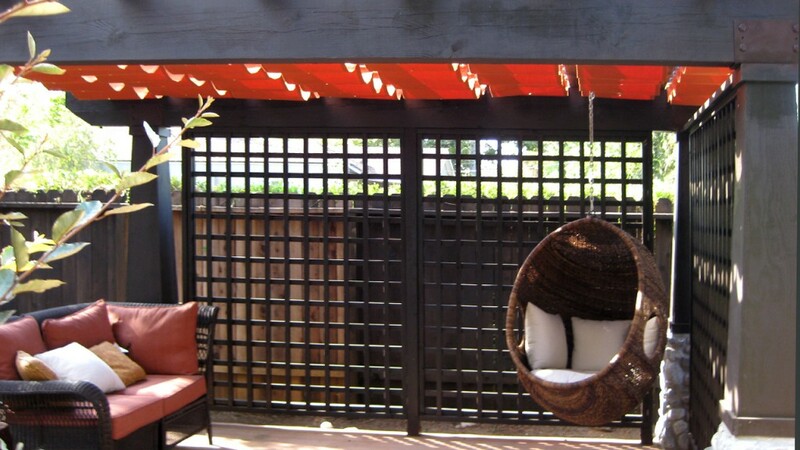 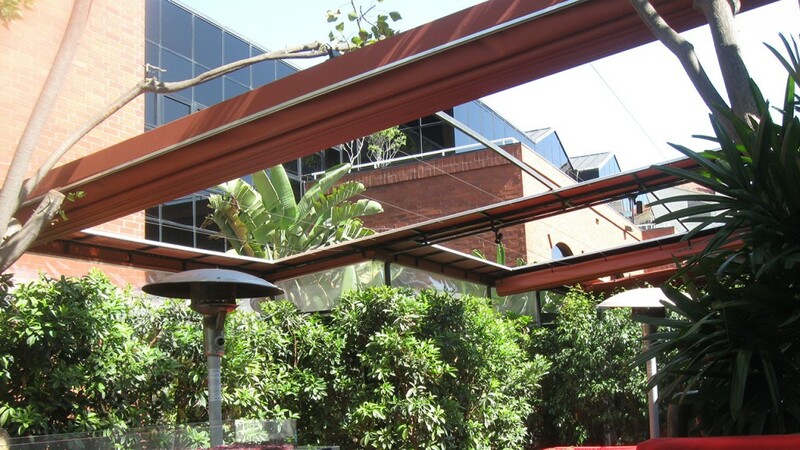 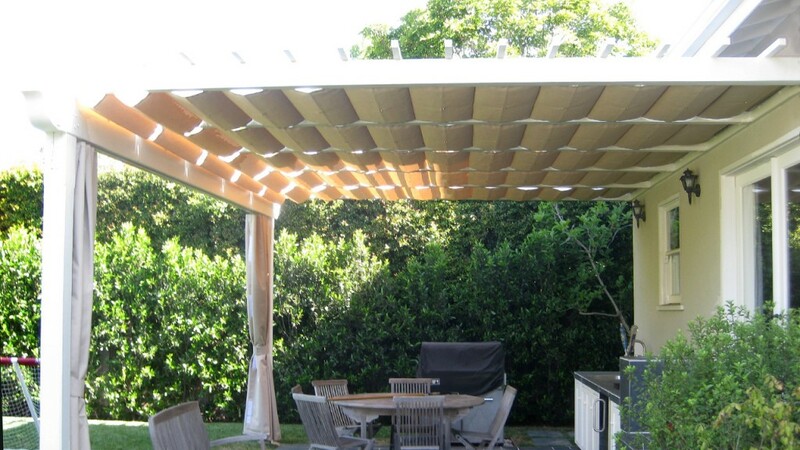 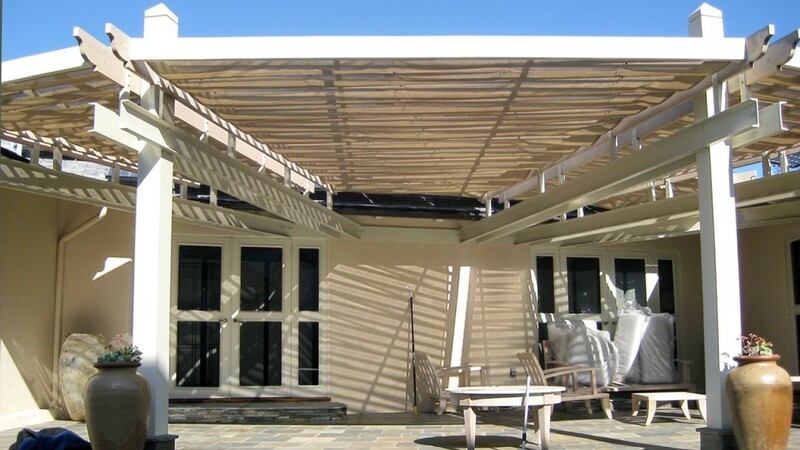 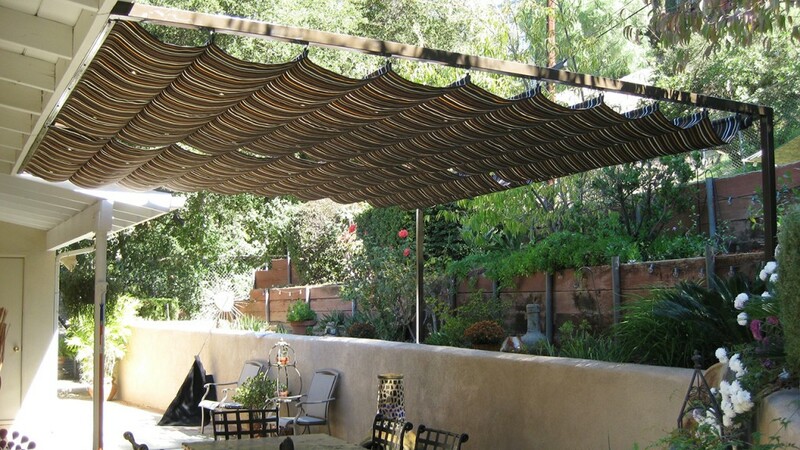 Sliding on wire awnings are a popular way to add shade to a patio or yard. 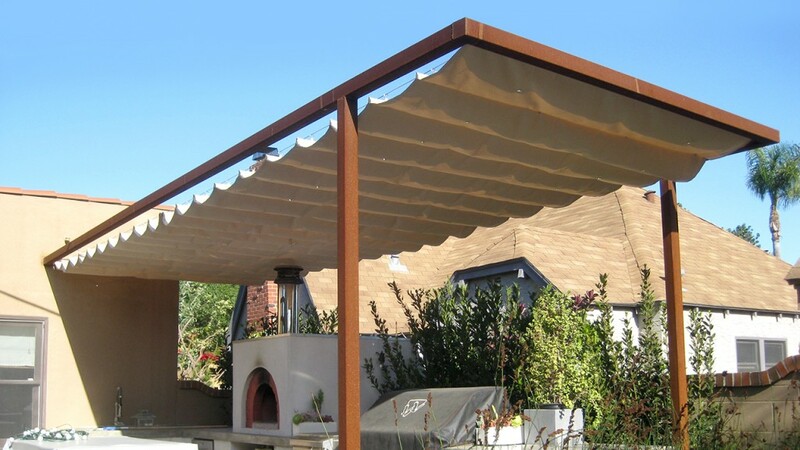 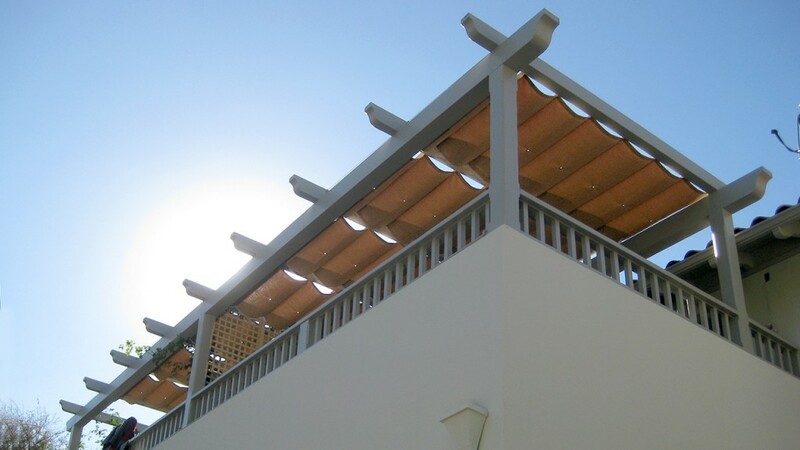 These attractive awnings may be installed on freestanding frames or attached to an existing trellis or building. 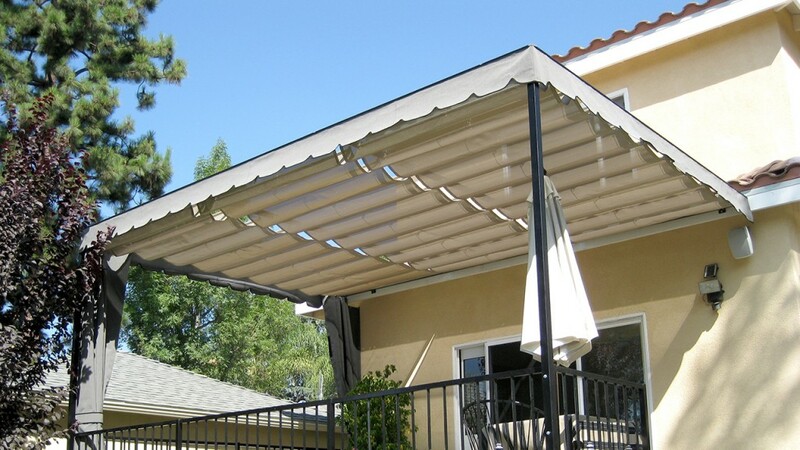 World of Awnings and Canopies offers a variety of styles and fabrics to create the perfect solution for your home or business. 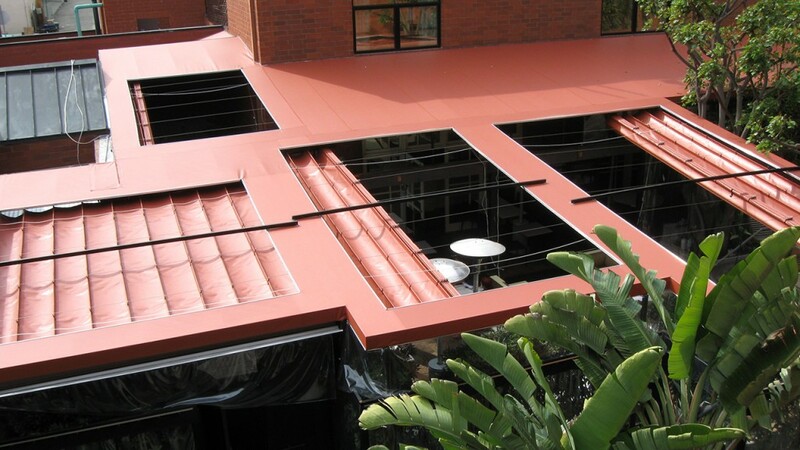 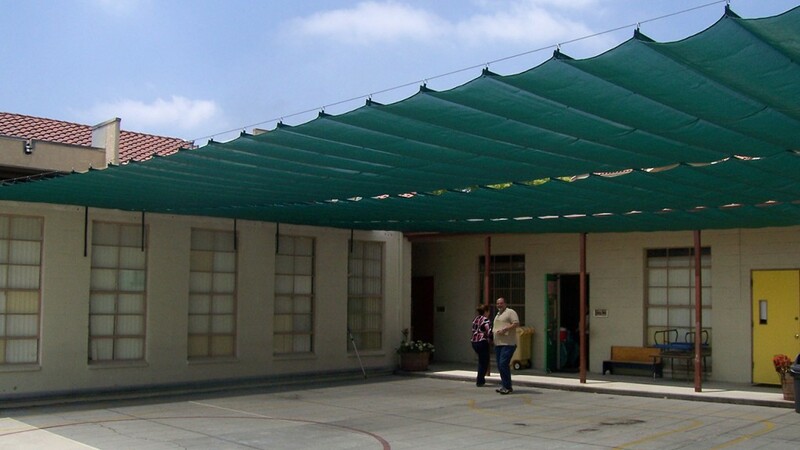 A sliding on wire cable awning is a canopy made of flexible material. 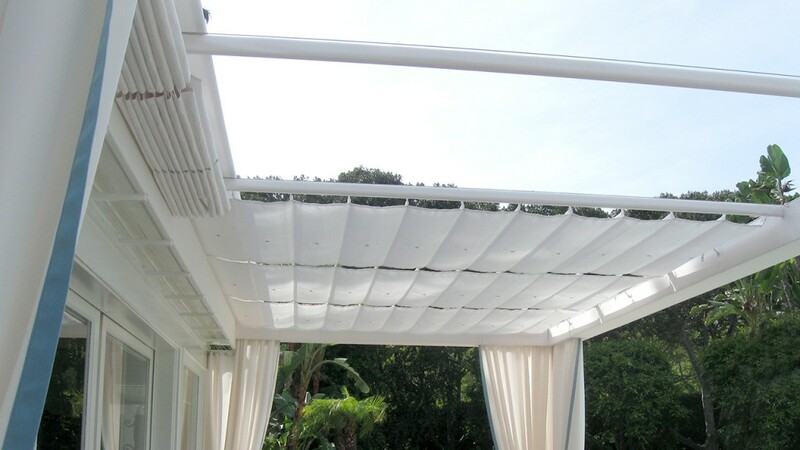 The fabric is attached at regular intervals between wires that run parallel along both sides. 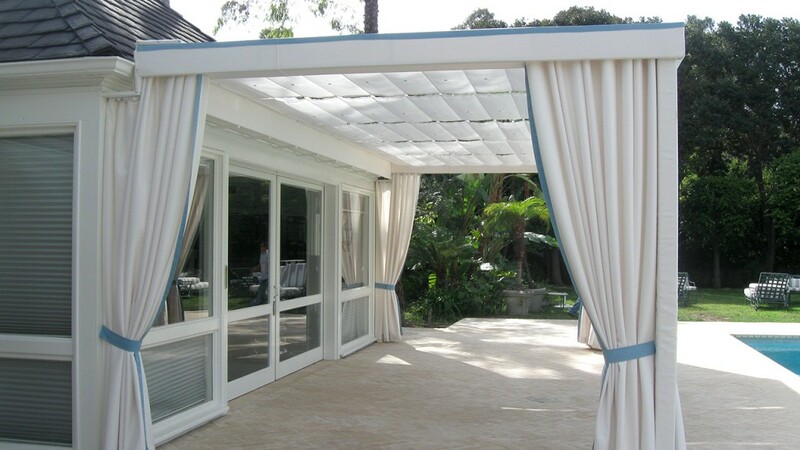 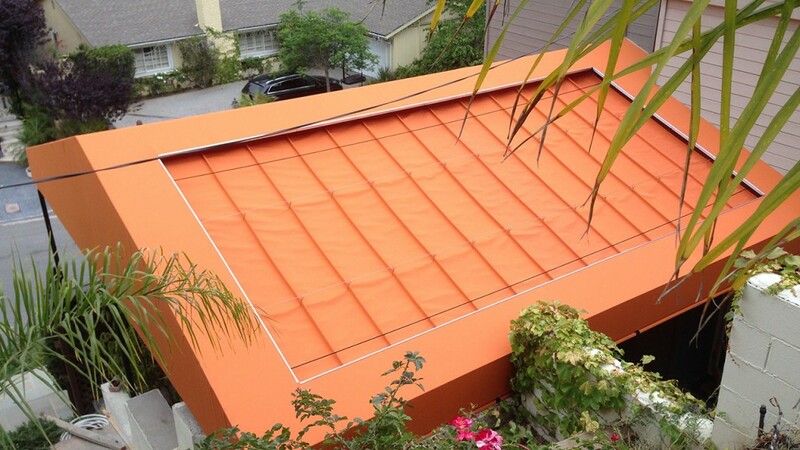 This kind of retractable awning may be opened as much or as little as needed simply by sliding it along the wires. 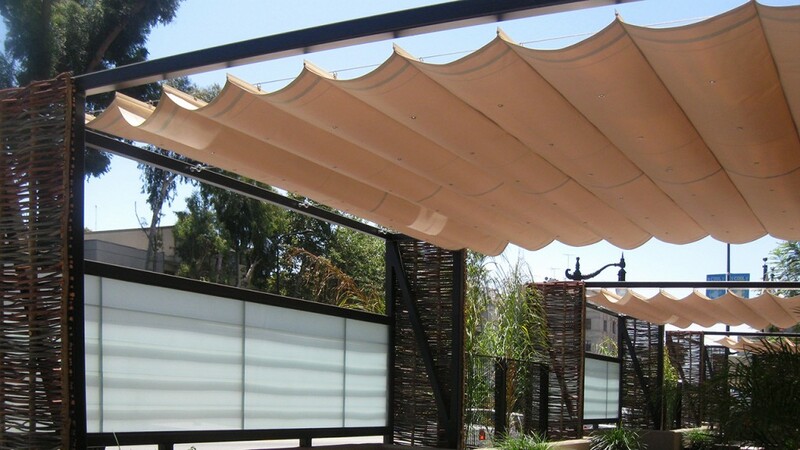 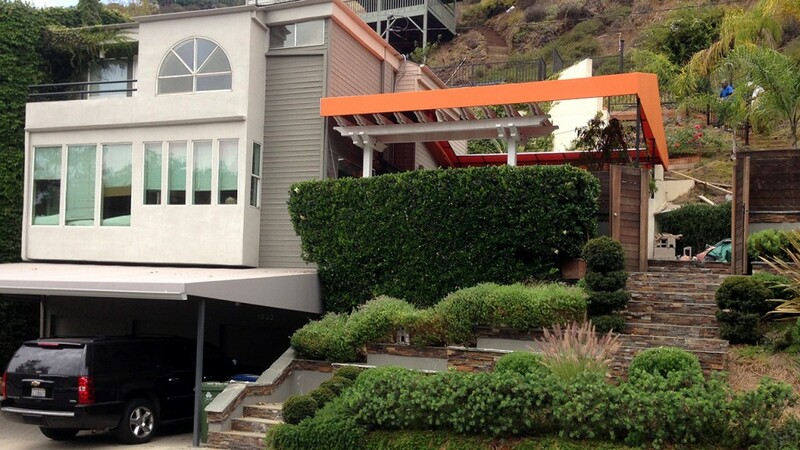 Sliding-on-wire style awnings come in two basic styles: flat or billowed. 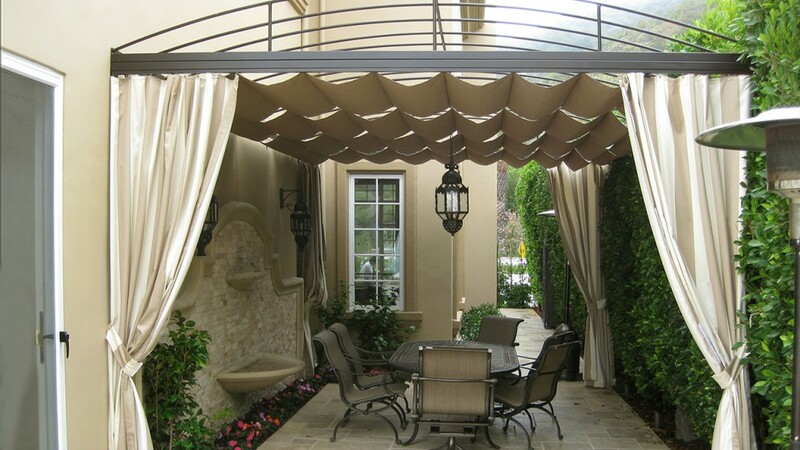 The billowed look means the fabric hangs down in a U-shape. 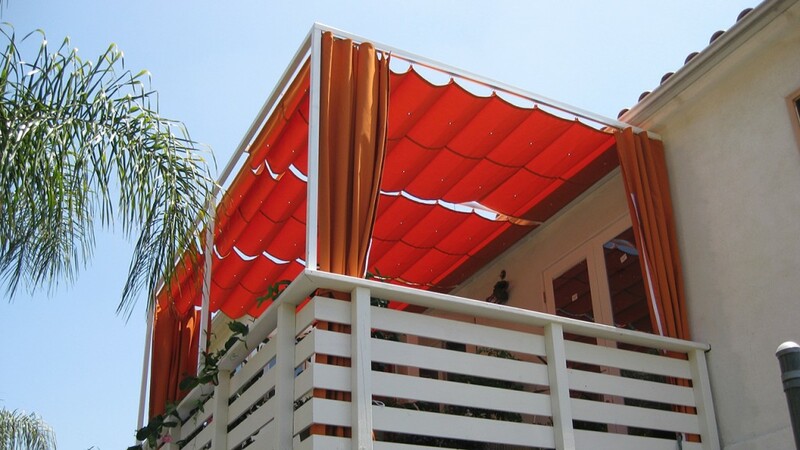 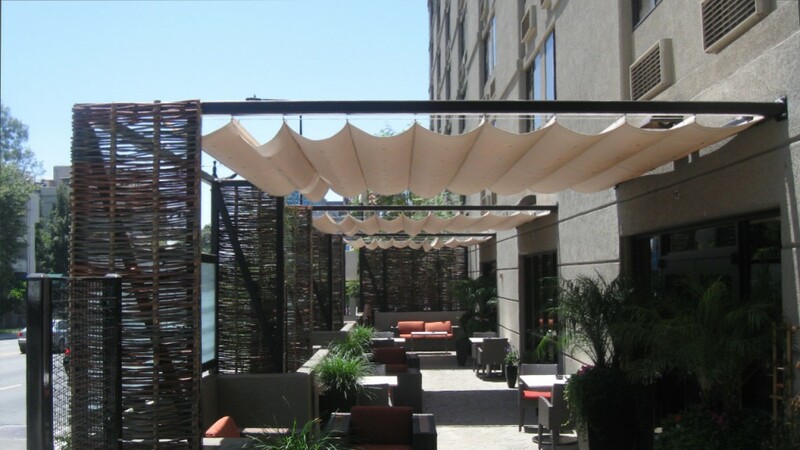 With an endless array of fabrics, colors, and options, your awning will be a one-of-a-kind solution that brings shade and distinction to your outdoor space.